Three journalists who were arrested during a protest last Wednesday have been released, but may still face charges. Police detained the three, two from Raajje TV and another from Channel One, for “obstructing police business”. They were released on Monday evening after five days in custody, but a police media official said they could still be charged. “If they get enough evidence to support a case we will forward the case to the prosecutor general. We will not make exceptions for journalists,” he said. 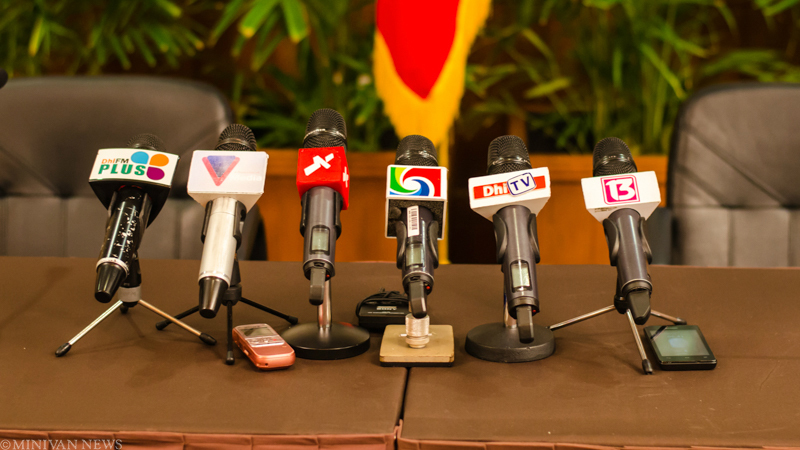 Raajje TV has condemned the arrests, saying the journalists were just doing their jobs. Local media had reported Zareer was held for refusing to switch off his camera light, but he said this was not correct. Police had complained about the light on a previous evening, and Zareer had moved away, but the light was not an issue on the evening of his arrest. 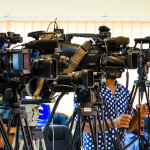 Mohamed Niyaz, a journalist from Channel One, was also held. All three were taken to Dhoonidhoo detention center and strip-searched. “We are not criminals or dangers to society. However, we report about such people and when we were put in the same cell block as them, it was quite frightening for us,” said Wisam. In a court hearing, police said the three had been detained because they were pushing past barricaded areas and pushing the shields of Special Operations officers. The journalists denied the claim and said they had been carrying press passes. Raajje TV, whose office has previously been attacked, said last week it was standing by its reporters. The arrests follow a series of attacks on journalists that have given rise to concerns over press freedom. In August 2014, Minivan News journalist Ahmed Rilwan went missing; he has still not been found. Four arrests were initially made, but all of the suspects were released and authorities have not reported any further progress in the case. Another journalist, Ibrahim “Asward” Waheed, nearly died after being assaulted with iron rods in February 2013. His case is still ongoing in court. Catch 22 better than the original! As I said before, Maldives has a long way to go ( probably generations) before they can live in a peaceful free democratic society. The country is so stuffed with corruption and dominating rulers that it’s now quick solution. Lot of Maldivians have understood and relocated to Sri Lanka ore India. And then the egotistical blue-wearing pigs whine when they get named and shamed on social media. Dont dish abuse if you cant take it, cowards!